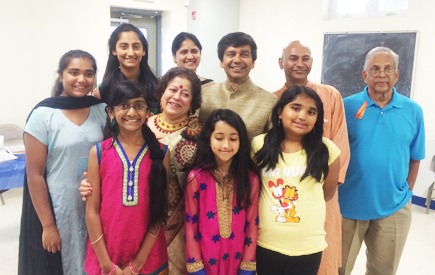 A scene from "Swamiji" at the Delaware Hindu Temple Auditorium, Hockessin, Delaware. 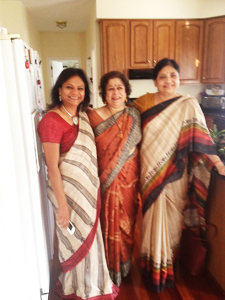 Hockessin is a suburb of Wilmington, where the show took place on September 14, Sunday, 2014. 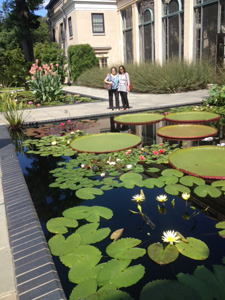 There are over 7,000 families in Delaware Valley Tri-state area who visit this temple. 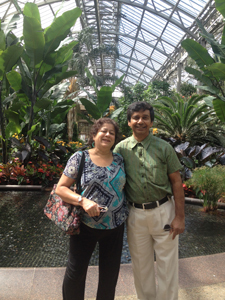 at Belur Math, Howrah on last January 31; now I brought my mother to experience it", he said. 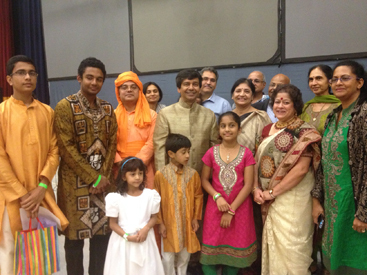 The "Swami Vivekananda Day" turned out to be a highly successful event at the Hindu Temple of Delaware, Hockessin, DE. Organized by the Temple Elite Team, it contained exhibits of pictures and posters of the great itinerant monk and performance by the community. The highlight was "Swamiji", the laser show on Swami Vivekananda, an hour-long laser documentary that left an indelible imprint on everyone's heart. The doors to the temple opened at 1 pm, when visitors got to see floor exhibition of posters and rare pictures on Swamiji's life story, and occupy seats at the auditorium. Soon the entire auditorium was jam packed with many standing at sides and rear. 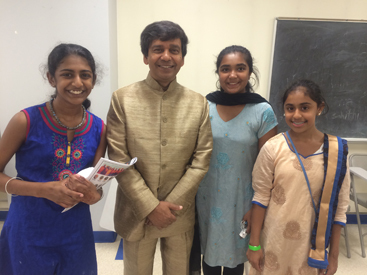 After the Welcome remarks at 2 pm, a "Vandana" item was beautifully performed by Madhavi Ratnagiri, Nalini Venkateswaran and the Community Children. 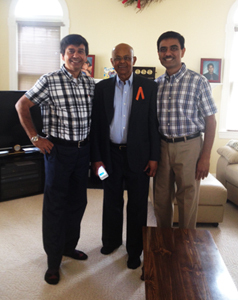 This was then followed by the keynote speech by Swami Atmajnanananda of Washington Vedanta Center, Washington D.C., who was the Chief Guest and had brought his mother to experience the program. Mr. Bachaspati Roy, a senior member of the temple and organizer, then eloquently introduced Manick Sorcar on stage and handed him the wireless microphone to take over. 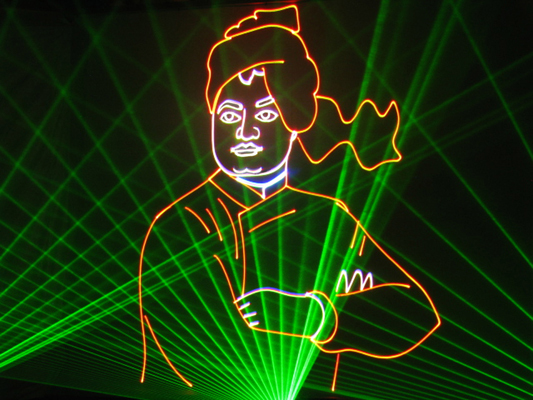 "I am immensely grateful to the temple elite team for giving me the opportunity to display the laser show on Swami Vivekananda at this remarkably beautiful city", said Manick in his introductory speech. "Soul's satisfaction is in service, and to serve human is to serve God. This is the motto of this temple, as it was of Ramakrishna Paramhansa and Swami Vivekananda as will be evident in his life story in this show". Manick started the show with a touch of magic using the laser-pointer as a wand. He drew scribbles on the walls and screens, which turned into leaves containing the portraits of the Holy-Trio. The unique one hour show ran in pin-drop silence at the packed audience. 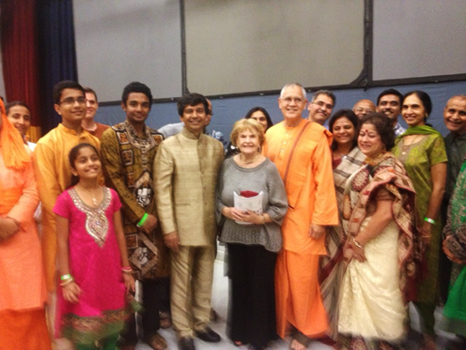 At the end of the show when Manick and his wife Shikha came to the stage to take a bow, the audience gave a standing ovation with thundering applause. 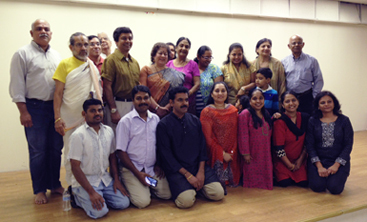 The Sorcars were felicitated with flowers and gifts by the organizers. An item by the community children, followed by Vote of Thanks and dinner ended the day's event. At the end of the show Mr. Shanti Mehta, a deeply respected, senior citizen of the community gave a short speech, which spoke for the sentiment of the audience in general. He said "...the simplicity and accurate representation of Swami Vivekananda's life story touched me so much that I could not hold my tears while watching the show. Manick Sorcar has done a remarkable job, I have never seen a documentary on Swamiji as nice as this. It is my hope and request, Mr. Sorcar will consider making another show of this caliber for another great son of India, Mahatma Gandhi, whose 150th birth anniversary will be celebrated in 5 years". 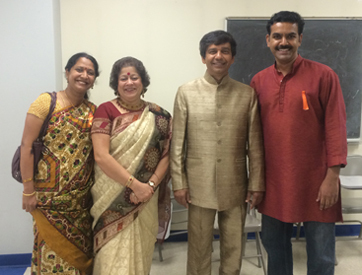 A humbled Manick Sorcar and his wife Shikha walked up to Mr. Mehta and touched his feet in Indian tradition, seeking his blessings.